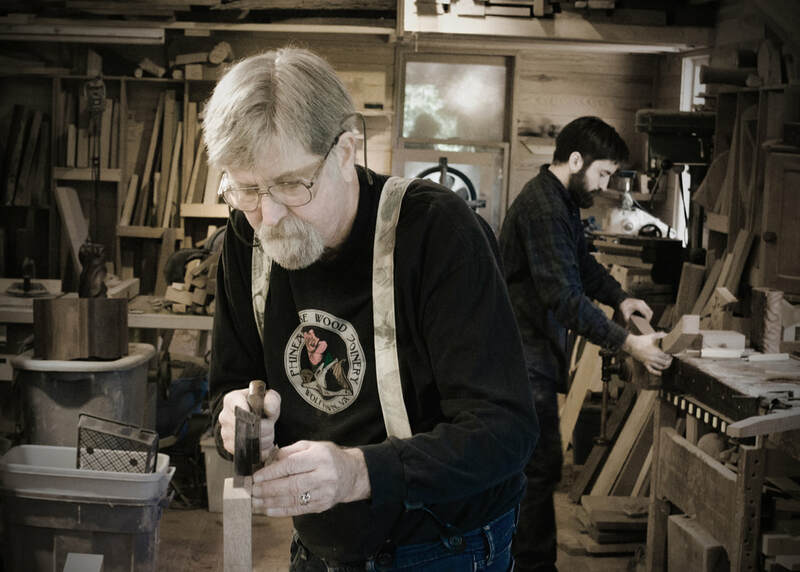 Established in 1977, by Richard and Ninika Gordon, Phineas Rose Wood Joinery has been featured in many fine arts and crafts shows and galleries across the country. Alec Gordon joined the business in 2011, taking over Ninika's place in the woodshop. Their work combines traditional wood joinery techniques with contemporary designs. All of the pieces are made of solid cherry, walnut, figured maple, and other domestic hardwoods. They use no plywood or rainforest species except sustainably harvested mahogany. The wood is hand planed, scraped and sanded, and then finished with non toxic tung oil. The tung oil, a naturally hardening polymer, is rubbed on by hand, one coat at a time. No stains are used, so the natural color of the wood is seen and a beautiful patina develops over time. Each piece is made individually and is guaranteed to last.